Parents are increasingly becoming concerned about the food they feed their kids- and rightfully so! With children's health issues like obesity and juvenile diabetes on the rise parents are asking more questions about what they kids put in their mouths. Parents looking to avoid questionable ingredients like high fructose corn syrup, GMOs or artificial colors may choose (and pay more for!) a food labeled "all-natural" or "100% natural" but are these foods any healthier.than their less expensive counterparts? 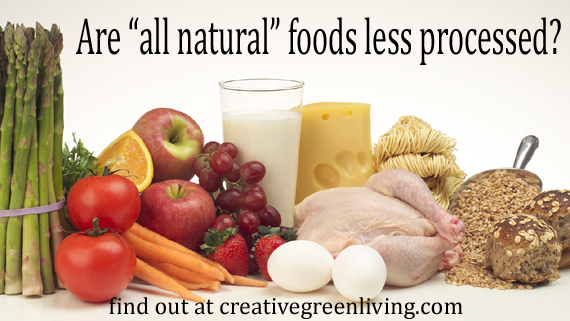 Myth #1: "All Natural" foods are less processed. Truth: While one might think "all natural" foods sound like they are less processed, they can, in fact contain highly processed ingredients like the dreaded High Fructose Corn Syrup. In fact, Snapple was sued in 2009 for using "all natural" on their label despite containing ingredients like highly processed and toxic HFCS (high fructose corn syrup). The case was thrown out in part because HFCS is derived from corn, which is "natural" since corn is a plant - even if that plant is genetically modified. To avoid processed ingredients, read the individual ingredients on the label instead. Myth #2: "Natural" foods are a good alternative to buying more expensive "Organic" foods. Truth: Many of the benefits of organic foods - less pervasive pesticides, non-GMO ingredients, reduced health risks, strict standards simply don't apply to foods labeled as "natural." Food processors who know people want more affordable alternatives to organic are maximizing on the psychological perception that natural = almost organic and are raking in lots of money because of it. Want less expensive organic food? Check out my top tips for saving money on organic food. 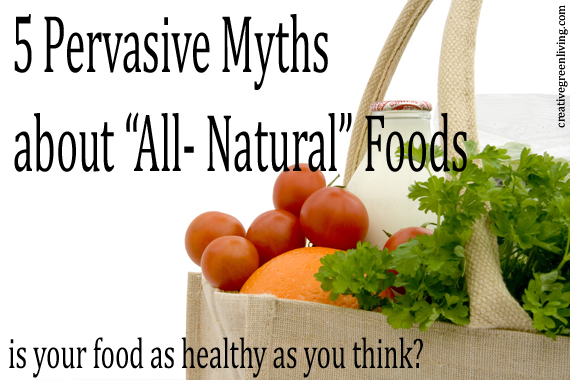 Myth #3: "All Natural" foods do not contain GMOs. Truth: While counter-intuitive to consumers, GMO products are frequently labeled as "natural" because they come from plants. It's irrelevant that the plant was produced in a lab and cross-bred with fish DNA (such as in the Flavr Savr tomato). 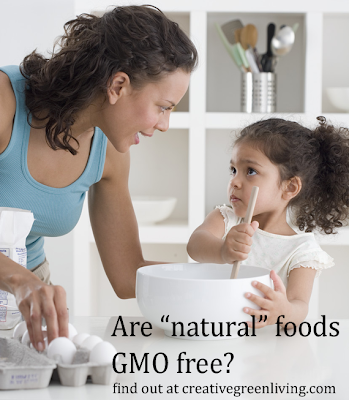 According to food manufacturers, they are plants and plants are "natural." 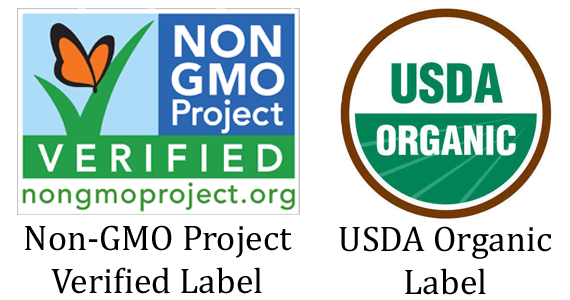 To avoid GMOs in your food, look for foods labeled as Organic or Non-GMO Project Verified. Here are some examples of labels to look for to avoid GMO foods. Please note there are many Organic certifying agencies and a truly organic food may contain a different label than USDA Organic. Organic foods should not be genetically modified but no DNA testing to confirm absence of GMOs is required. A stricter standard to confirm absence of GMOs is part of Non-GMO Project verification. 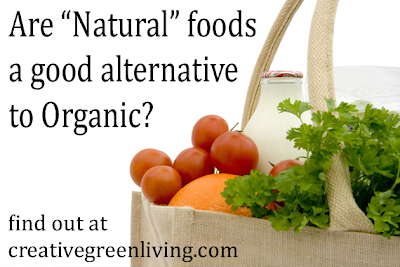 Many organic foods are also Non GMO Project verified. 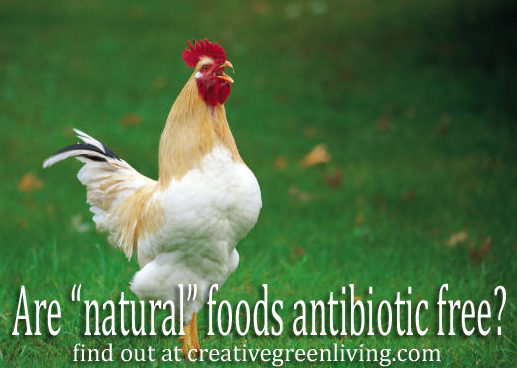 Myth #4: "All Natural" meats are produced without antibiotics. Truth: While the USDA does regulate what this means it meat products, meats labeled "natural" or "all natural" may be raised with and contain antibiotic residue. Instead, look for meat labeled "antibiotic free" or "organic" to avoid antibiotics in meat. 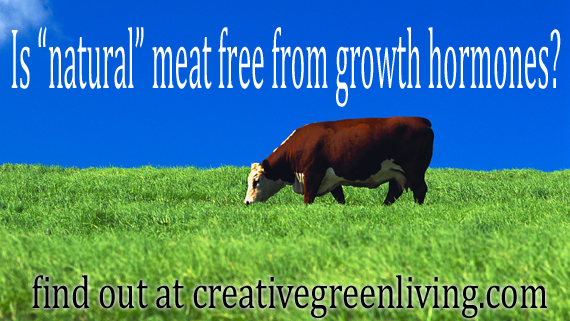 Myth #5: "All Natural" meats are produced without added growth hormones. Truth: The USDA definition of foods labeled "natural" or "all natural" permits meat from animals raised with and containing artificial or added growth hormones. To avoid added growth hormones in meat, look for labels such as "hormone free" or "organic." Who Regulates Labels on Food Anyway? The two main entities concerned with labels on food are the FDA and the USDA. FDA on "natural" food labels: "FDA has not developed a definition for use of the term natural or its derivatives. However, the agency has not objected to the use of the term if the food does not contain added color, artificial flavors, or synthetic substances." In other words, they are not regulating it so much as they may contest it is a food containing artificial color, flavor or loosely defined "synthetic substances" uses a "natural" label. This, of course, leaves lots of room for things that most of us would not consider natural to sneak in. USDA on "natural" food labels: The USDA requires natural meat and poultry to be free of artificial colors, flavors, sweeteners, preservatives, and ingredients. They must be minimally processed in a way that doesn't fundamentally change the raw product. The USDA only regulates "natural" animal products such as meat and eggs.